As a service to our customers we are pleased to offer equipment for rental to provide the tools you need when you need them. Ideal for customers involved in trade shows, fairs, annual events or sports, through to film production, warehousing and construction projects, the system can be adapted to your exact requirements with minimal capital outlay around the Pittsburgh area. TRN Communications offers the flexibility to select any number of radios for any period of time. From 1 day to 12 months. Local or wide area coverage. TRN Communications ensures you have superior access to up to date technology. TRN Communications handles all training and support with easy-to-read user guides. 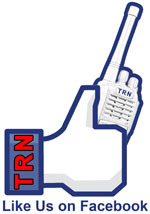 TRN Communications provides exemplary customer service and 24-hour support. TRN Communications provides a full range of quality accessories. Personal delivery to anywhere within a 90 mile radius of Pittsburgh, PA.
Additional paperwork is required with rental equipment. A Security Deposit may be required prior to, or upon delivery of the equipment and Rentals are due prior to the rental period. Pittsburgh Area Including: City of Pittsburgh, West Mifflin, Greensburg, Butler, Uniontown, Washington, Plum, Ross, Bethel Park and Pittsburgh International Airport. Counties including: Allegheny, Beaver, Washington, Fayette, Greene, Cambria, Somerset, Westmoreland Bedford and Blair Counties . This includes Johnstown, Ebensburg, Somerset, Bedford, Indiana and Altoona. Our 100 Foot telescopic tower trailer. Includes 7 KW Diesel Gen Set, A/C and Heat with up to 6 repeaters inside.